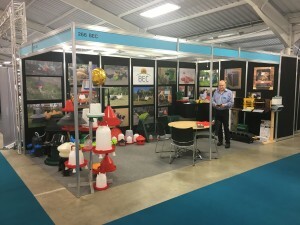 Following on from another successful show at the Pig & Poultry Fair 2018, we hope those of you that attended enjoyed your time on our stand. If you have any questions about the products that were on show, please email bec@osprey-plastics.co.uk and we will be happy to help. The optional Tripod Stand can be fitted to prevent soil contamination. Each foot can be adjusted in height to counter act the uneven ground. This makes sure the water is always level. The aptly named Contamination Cover can be fitted to keep the water cleaner and cooler particularly when outdoors. The Cleanflo is now available as a solution in a box. Everything you need for a no fuss setup. System includes Header Tank, Jacket, Tubing, Inline Filter, all fixtures and fittings with our new Cleanflo Drinkers. 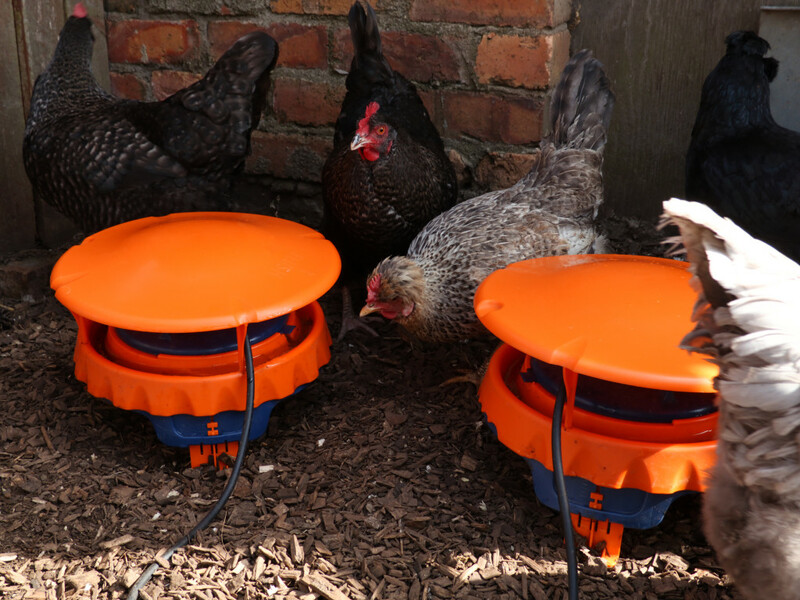 THE EMPEROR FEEDER HAS BEEN A TOP SELLER FOR BEC FOR MANY YEARS BUT NOW A NEW ADAPTION HAS BEEN FITTED AND IT IS IDEAL FOR ALL POULTRY AND WATERFOWL. The Emperor Feeder is made from a durable UV stabilised recycled Polymer and has a capacity of 70 ltr. Its design allows feed to flow smoothly without the feed clogging. It is ideal for bulk feeding, breeding and game and is perfect for outdoor use in any location. With the new extension it saves feed and prevents the ground becoming contaminated. 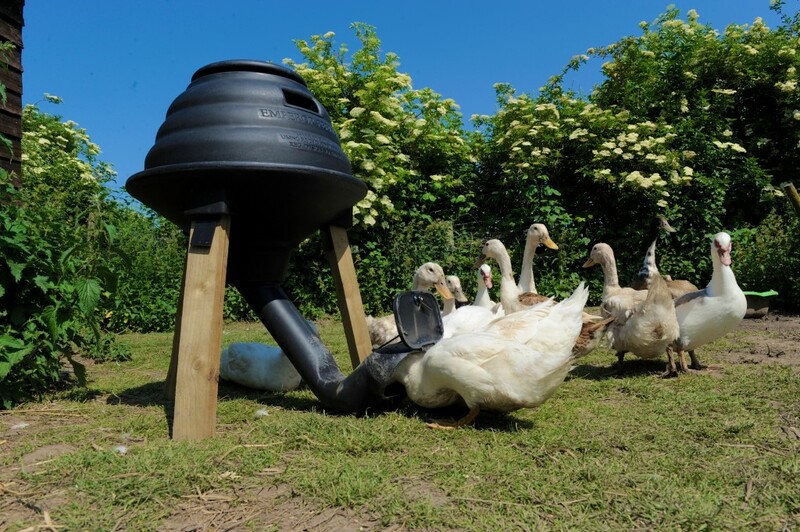 Due to the design of the feeder extension it makes it also ideal for water fowl and can be closed at night by just flicking the door shut on the end of the extension making it rodent proof and keeping the feed clean and fresh. For many years a system that will help to protect the birds from disease and infection has been long overdue but a Gamekeeper has developed the new Watermaster Masterguard, this unique idea prevents contamination through dust, dirt and faeces from entering the automatic drinking systems. Keeping the water clean and fresh is the best way of preventing the threat of Mycoplasma a disease that is passed on by wild bird’s droppings or mucus from infected birds; this is very serious disease that can be spread through water contamination very quickly through the flock. When using the Masterguard it prevents water dilution, which in turn allows any added medication, vitamins and sanitates to maintain their full strength. Tests have proven that without the Masterguard fitted, the sunlight can encourage bacteria to grow and cause 25% evaporation of valuable additives that have been added to the water. Most bacteria do not survive in water below 8 degrees, so with our milder winters our birds are at risk for a longer period of time. The new Masterguard will help to protect birds all year round. Another unique design from BEC, it was created with the duck breeder/keeper in mind. Free standing with short strong legs it comes with large access holes down each side. There are two types of this drinker available, one that is an easy to fill manual drinker and the other is fully automatic that is fed directly from your water supply, this version is fitted with a cut off valve so it keeps the water to the correct level. To clean the drinker simply unplug the grommet and drain the water out. 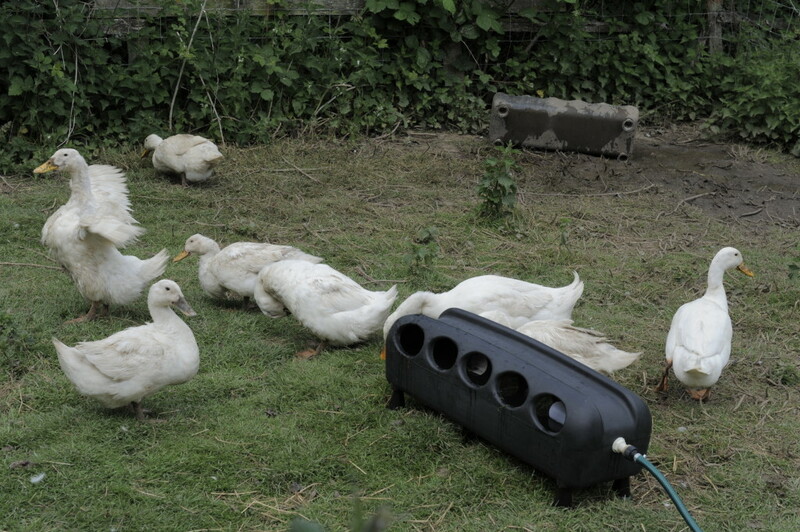 Although manufactured for waterfowl this also proved very successful for chickens during trials.